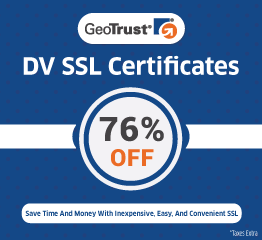 SSL certificates are the ones that provide the much needed online protection to the user and the website. They are the protective walls that keep the websites safe and fight against the major cyber threats. And also the infamous man-in-the-middle attacks. The hackers are fond of these two intrusion techniques to evade the websites. And steal away the confidential user information for their own personal benefits. 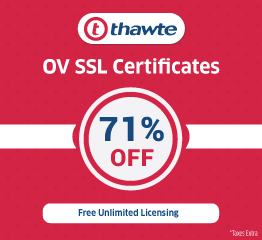 We all know the use of SSL certificates like Thawte SSL certificates. And how they protect the websites against the cyber attacks. But it is pretty surprising to know that even SSL encryption has several drawbacks. The impermeable nature of the Thawte SSL certificates and all other SSL certificates make it immune to other security inspection tools. The anti-malware tools that you might be using will never be able to detect any malware that might have been injected into the implemented SSL walls. This is one of those vulnerabilities that can make an SSL connection prone to more malware infections. The hackers are nowadays well aware of such glitches and they make sure to exploit it and rot the entire connection. They easily inject malware into the so-called protected SSL walls and easily defeat the anti-malware inspection tools. The proposed solution to this problem is the use of SSL inspection tools. An inspection tool is the one that analyses the content of the SSL connection inside out for any abnormalities. But this process is one of the most complicated ones as inspecting an encrypted envelope is not easy. It involves the decrypting of the encoded content and then re-encrypting it yet again. This process is carried from time to time to ensure that there is no breeding of malware. Or some other type of similar malware attacks. In short, we can say that as more and more people are shifting towards the online platform it is essential that their privacy and confidentiality is kept safe and secure. The free SSL services look appealing but they are even more dangerous. 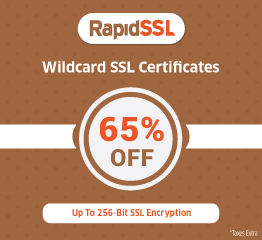 It should always be kept in mind that only a good and powerful SSL should be used to protect your website and keep it safe from harmful malware.